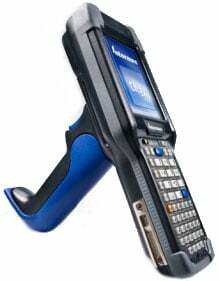 Intermec CK3X Non-Incendive - Wi-Fi (80211a/b/g/n), 2D Imager, Windows Embedded 65, 256MB RAM/1GB Flash, Numeric Keypad, Non-Incendive, Bluetooth Includes Battery . Interface Cables And Charging Cradle Sold Separately. A highly adaptable design that simplifies IT support and controls operating costs. The Intermec CK3X fits your timetable for achieving such results with a pedigree of proven success, easy deployment and fast return on investment. Extending the popular ergonomic design of the CK3 model, the CK3X takes the best and makes it even better, giving you the power to put accuracy and productivity in the hands of your workers. The Intermec CK3XAB4K000W4110 is also known as Intermec Technologies	CK3XAB4K000W4110	.